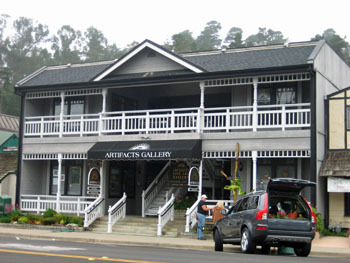 Victoriana Building: Retail Building. 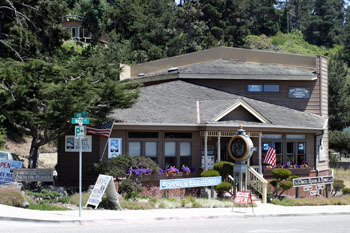 Location: 1 Arlington St., Cambria, CA. Scope of Services: Design and Build Principal In Charge; RICHARD D. LOW, JR.; responsible for; project feasibility analysis, architectural programming, design, consultant coordination, public hearing representation, governmental permit processing and approvals, project cost estimating, bid documents preparation and acquisition, construction financing. Project General Contractor; RICHARD D. LOW, JR.; responsible for complete construction activities. – Year Complete: 1986. Scope of Services: Design Principal In Charge; RICHARD D. LOW, JR.; responsible for; project feasibility analysis, architectural programming, design, consultant coordination, public hearing representation, governmental permit processing and approvals, project cost estimating, bid documents, construction administration. – Year Complete: 1988. Scope of Services: Commercial remodel Architect; RICHARD D. LOW, JR.; responsible for; project feasibility analysis, architectural programming, design, consultant coordination, public hearing representation, governmental permit processing and approvals, project cost estimating, bid documents, construction administration. – Year Complete: 2010. Scope of Services: Commercial remodel Architect; RICHARD D. LOW, JR.; responsible for; project feasibility analysis, architectural programming and design, consultant coordination, public hearing representation, governmental permit processing and approvals, project cost estimating, bid documents, construction administration. – Year Complete: 2017.